A blog about political psychology and current events. The next Congress will be the Baby Boomers’ last act before Generation X takes power, according to data (PDF) from First Person Politics – a public affairs consultancy whose groundbreaking research linked generational shifts in the U.S. House of Representatives to unexpected and sweeping changes in the national political culture. If the handful of races yet to be called are won by the candidate expected to win, Boomers will hold 202 House seats (down from 226), while Gen Xers will hold 192 seats (up from 177) – leaving Boomers in charge of the next Congress with a narrow 10-seat plurality. The same review indicated that a Democratic wave would benefit the Millennial Generation at the expense of the Boomers. Millennials, who picked up 18 seats, were overrepresented in the Democratic candidate pool, while Boomers were overrepresented in the Republican one. It is not surprising that the youngest generation would be underrepresented in the candidate pool of the current majority party, since party majorities inherently are made up of incumbents from older generations. But 2018’s large generation gap could persist in future elections due to the Millennial Generation’s progressive values and affinity for the Democratic Party. The 2018 election was the first with a significant number of Millennial candidates running for Congress – and it showed up in the results. For the first time, Millennials (with 23 seats) will outnumber the elderly Silent Generation (down to 18 seats). 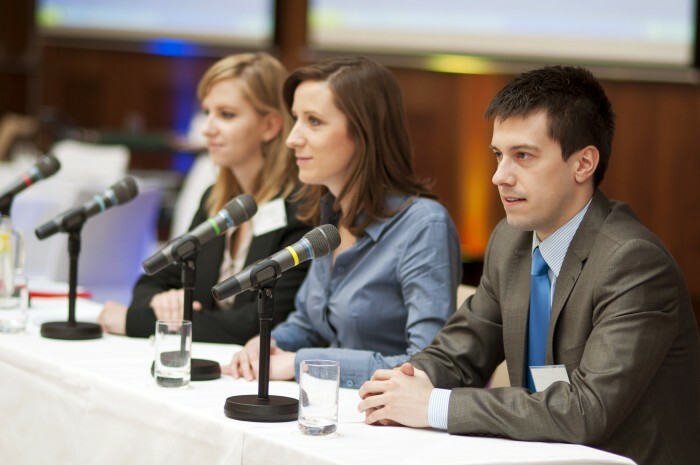 But, according to previous research from First Person Politics, it is unlikely that Millennials will exert much influence over national political and policy debates until the late 2020s. Despite their dwindling numbers, Silent Generation leaders such as Nancy Pelosi, Steny Hoyer, Jim Clyburn, Maxine Waters and Nita Lowey will continue to wield influence in the next Congress by virtue of their experience, relationships and seniority – holding some of the top leadership spots and committee chairs. It might sound strange, but the generational composition of the House has been linked to broad trends in the national political culture. 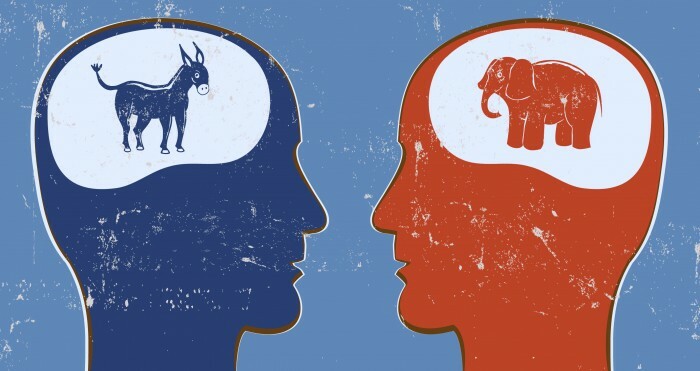 Building on William Strauss and Neil Howe’s groundbreaking generational theory, original research authored by First Person Politics showed that each new generation to win a majority in the House brings about a large-scale shift in the national political culture. These shifts, determined by each generation’s character and the timing of their first majority, unfold over 20- to 25-year time spans, which makes them difficult to recognize for those immersed in the 24/7 news cycle. Research has yet to demonstrate any effects linked to the generational composition of the U.S. Senate, likely due to the institution’s anti-majoritarian and broadly unrepresentative character. Gen Xers are virtually certain to outnumber Boomers in the House after the 2020 election, but Gen X’s rise to power has been historically lethargic, even for a generation with a reputation for political apathy and civic disengagement. If it had followed the historical averages, Gen X should have won its first majority in 2013. By 2021, Gen X will be an astounding eight years overdue. This considerable delay has allowed Boomers to continue setting the tone for the national political culture – and it is tearing the country apart. Generational theory strongly suggests that it is Boomers – especially Boomers on the right – who are fanning the flames of hyper-partisanship, polarization, gridlock, extremism, brinkmanship, poor performance and self-serving narcissism in our politics. These destructive tendencies took off in 1995 after the Boomer takeover of the House in the 1994 wave election. But American politics wasn’t always so confrontational and dysfunctional. From 1977 through 1995, the Silent Generation ruled Washington – setting a conciliatory, technocratic, business-like and business-friendly tone. 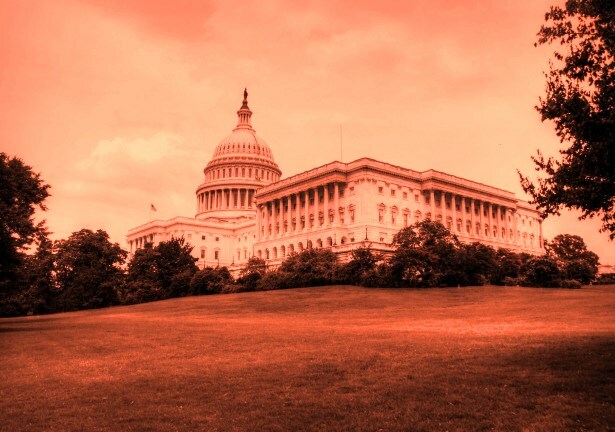 Since the Boomer takeover, high stakes showdowns between Congress and the White House that inflame partisan tensions have become routine, but most of these clashes have revolved around fiscal policy. This time the stakes different. Over the next two years, battles between the House Democratic majority and the Trump White House could escalate into a series of dangerous political, legal and constitutional standoffs that revolve around some of the nation’s founding ideals: representative governance, institutional checks and balances, and the rule of law. Already, it is clear that the Republican Party is threatened by long-term demographic change and majority rule, and that the corrupt and increasingly autocratic Trump administration is threatened by meaningful oversight and accountability from Congress, as well as Special Counsel Robert Mueller’s investigation. It is equally clear that Republicans in the White House and Congress are intent on filing the courts with right-wing ideologues – political operatives whose job is not to uphold the law but to remake the law in whatever way most helps Republicans, giant corporations and the ultra-rich. Seen from the perspective of generational theory, the danger is that this battle between plutocracy and democracy appears to be intensifying at a uniquely precarious time in the generational cycles of history. America is quickly approaching the final and most critical climax phase of its latest Fourth Turning. Anticipated by Strauss and Howe more than 20 years ago, this is a time of ultimate peril for the nation and very likely the world, when long-simmering conflicts – especially ones that touch on fundamental values – are prone to metastasize into violent and genuinely existential ones. A decade from now, the pre-election wave of stochastic right-wing terrorism and President Donald Trump’s post-election attacks against the press, vote counters and the Mueller investigation may be remembered as ominous signs of things to come. Historically, it has fallen to rising reactive generations like Gen X to curtail the raging excesses of aging idealist generations like the Boomers. Reactive generations are known for their pragmatic, cynical and pugnacious leadership style – and for their role as history’s crisis managers. Reactive generations never make the nation’s deep and abiding conflicts go away, but successful ones give rise to a political culture that is noticeably less apocalyptic and a good deal more pragmatic – capable of implementing large-scale, workable solutions to the nation’s most dire problems. But there also have been times in our history when a rising reactive generation arrives in power too late, and instead of curbing the elder generation’s raging excesses exacerbates them. The last time this happened, it helped propel the nation into its first civil war. 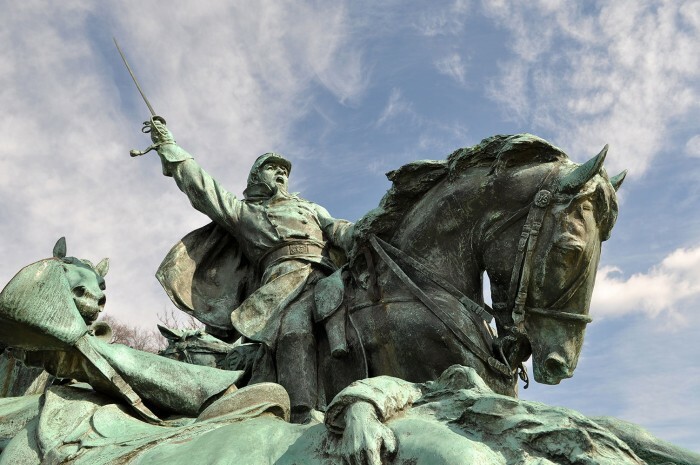 History never repeats exactly, but it usually rhymes, which is why modern generational theory is such a valuable tool for examining trends in our nation’s history. With the final showdown of the Boomer generation at hand, the next two years are certain to be the most combustible period in American politics since 1860. The question is how much damage will Boomers do before their time expires. When Gen X takes the reins in 2021, their leaders will inherit a nation more divided than ever — and very likely one facing existential peril. First Person Politics founder David L. Rosen is available for press interviews and speaking engagements. Contact him at david@firstpersonpolitics.com. Methodological Note: First Person Politics will update the numbers if the results of the uncalled House races differ from expectations, but the major findings in this analysis are unlikely to change. First Person Politics uses the Strauss and Howe generational breakpoints in all generational analysis and commentary. These breakpoints provide a powerful and coherent framework for analyzing and anticipating the behavior of generations in the real world. Whether you work in communications, fundraising or field, if you write a lot of mass emails, spam filters should be the bane of your existence. If they aren’t, some of your emails might not be getting through. Email spam filters are triggered by certain keyword and phrases — and you can probably already guess what some of them are. Here is my latest piece in Campaigns and Elections on how to avoid spam words. Everyone who sends mass emails has to worry about their messages getting blocked by spam filters, and my latest piece offers some guidance on how to handle this particularly thorny problem. I hope you won’t mind if I take a little credit and engage in a little shameless self-promotion. On the morning of Oct. 4, reporters and Twitter users were surprised and delighted to discover an activist dressed as the Monopoly Man sitting directly behind Equifax CEO Richard Smith at a U.S. Senate Banking Committee hearing. The stunt enraptured viewers as the Monopoly Man was seen adjusting a monocle, wiping his brow with an oversized hundred dollar bill, and even chasing down Smith with a bag of money after the hearing. The Monopoly Man’s appearance got more attention than anyone could have imagined, present company included. To say that it went viral would be an understatement. It was THE STORY in the press and on social media that day. The Monopoly Man’s “Ask Me Anything” chat on Reddit is now the eighth most popular of all time, surpassing similar chats with Bernie Sanders, Gordon Ramsay and the creator of The Simpsons. The character became an instant national folk hero with liberal and conservative audiences alike and made headlines around the globe. I’m bringing this up because I’m one of the two architects of this stunt. Yes, you read that correctly: this was my idea. 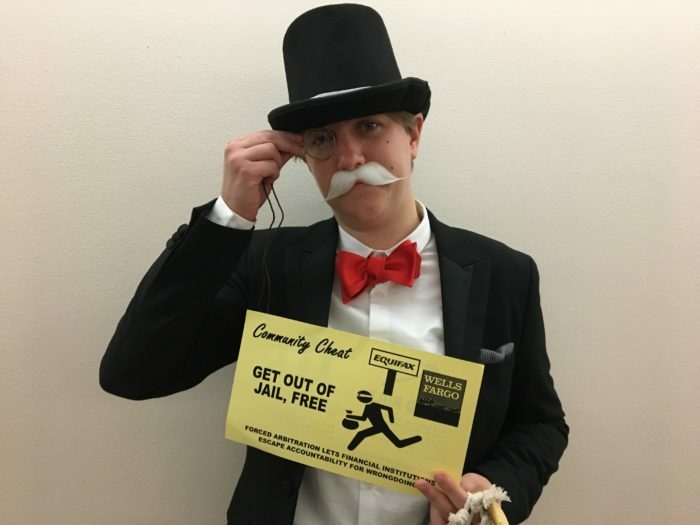 To give credit where credit is due, it wouldn’t have been possible without co-conspirator Amanda Werner, who deftly portrayed (and continues to portray) the Monopoly Man. But the truth is that sending someone to Capitol Hill in costume as the Monopoly Man originated right here. It was an idea that had it’s origins in political psychology. As you may be aware, when I’m not ruminating about political psychology on this blog and on Twitter, I serve as Public Citizen’s communications officer on regulatory affairs. In that capacity, I work on a wide range of issues including stopping anti-regulatory legislation, blocking harmful policy riders that sneak their way into the federal budget process and advancing public protections. The Monopoly Man’s appearance and the delivery of Get Out of Jail Free cards to all 100 U.S. Senate offices was part of a campaign I’m involved in that is intended to draw attention to the lack of accountability for financial institutions like Equifax and Wells Fargo. In particular, these and other large financial institutions have been using of forced arbitration to block ripped off customers from taking them to court. Many of the leading progressive advocates of this era have embraced a communications style that prioritizes research, facts, numbers, statistics, and logical arguments. But as any good political psychologist or communicator will tell you, this bias toward hyper-rationalism is profoundly counterproductive to communication with mass audiences. The Monopoly Man, the Get Out of Jail Free Card and the bags of fake money told a powerful and accessible story that regular people could relate to, even if they didn’t know much of anything about Equifax or forced arbitration. Human beings aren’t Vulcans. We’re not rational, logical, informed or even particularly self-aware, self-interested or autonomous. The expectation that we are is a myth passed down to us from our Age of Enlightenment for-bearers. It’s an expectation that Democrats and progressives have internalized deeply, even as we’re drowning in evidence to the contrary. Team Blue is so enamored with the reasoning powers of the mind that many refuse to acknowledge its demonstrated limits, particularly as a tool of communication, persuasion and influence. The Monopoly Man “put metaphor over literal precision, style over substance, image over text, and fun over facts.” In other words, we did the exact opposite of what people on Team Blue usually do. It worked — not in spite of this — but because of it. Indeed, the truth is that human beings are fundamentally irrational and profoundly biased — and in more ways than we’ll likely ever be able to count. We experience and understand the world through emotions, stories, symbols, values and relationships — and those are the things that Amanda and I drew upon in staging this protest the way we did. The Monopoly Man is an instantly recognizable character, whose appearance evokes far more than just his namesake board game. By placing this character in the foreground of a hearing about a debased financial institution, it intuitively called attention to the predations and excesses of billionaires and big banks. The message was implicit in the situation – no explanation was necessary, even as it called out for one. American culture is filled with familiar characters, imagery and symbolism that, like the Monopoly Man, could be deployed to make a powerful political statement without saying a word. The instant and mind-boggling success of the Monopoly Man may not have been predictable, and only time will tell whether this specific model of protest is replicable, but it was not a random occurrence. It came from two people who’ve spent years pushing our allies to embrace new, creative and non-rational approaches to activism, influence and political change. The Monopoly Man illustrates what we can achieve when we do. I believe those new approaches hold the key to a brighter, more progressive, more humane future. And that’s precisely why First Person Politics exists: to show you the way and encourage you to be part of it. Read the piece and contact me if you’re interested in booking an interview. In explaining her 2016 loss, Hillary Clinton has said that “I was the victim of a very broad assumption that I was going to win.” Is there any truth in this? […] human beings are cognitively hardwired to be loss averse. We don’t treat prospective gains and losses the same way. When presented with a gain and a loss of equal value, say, a win or loss of $100, the loss feels worse that the gain, sometimes a great deal worse. One of the many consequences that flows from this fundamental fact of human psychology is the notion that you should play it safe when you’re ahead. Clinton spent virtually the entire campaign ahead in the polls, believing her election victory (a prospective gain) to be nearly certain. This would have put Clinton and her campaign – already known for a cautious and methodical disposition – into an even more guarded and risk-averse mindset, focused on preserving her lead. These restrained qualities were even marketed as a selling point against Clinton’s erratic and unstable opponent. An expectation of victory and the behavior that stemmed from it is, in my view, one of many factors that hurt her campaign. But I would take issue with Clinton’s choice of the word “victim.” If she’s a victim of the psychology of loss aversion, then so is every human being ever born who’s lived to be old enough to make decisions. Loss aversion is a universal feature of human psychology and behavior, one that is extremely familiar to most economists, psychologists and marketers. It is regrettable that so many political candidates and strategists remain oblivious to its power. All human beings have biases — lots of them. If we’re going to make good strategic decisions, we have to be aware of what those biases are and how they might affect our choices. That’s why the article suggests how political strategists might compensate or correct for the innate biases we all have around risk. Where might Trump have gotten the idea that blaming both sides is a reasonable-sounding thing to say in the midst of a contentious political dispute?